Planning a killer mystery party in Phoenix, Arizona? 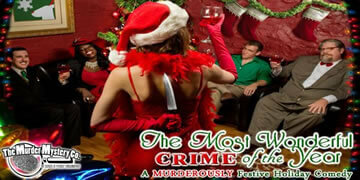 The Murder Mystery Co. is the perfect addition to any event you are throwing in the Phoenix area! 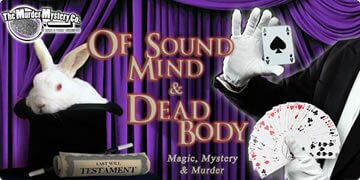 We provide expert mystery entertainment you won’t find anywhere else. Plot the perfect private event with The Murder Mystery Company in Phoenix! Team up with our mystery experts to enjoy a stress free corporate event, team building day, fundraiser, charity event, private event, or birthday from beginning to end with no messy cleanup after! Our professionally trained performers will immerse your guests in a two hour interactive whodunit mystery theater experience they will never forget, right at your venue or home. Make the easy choice for mystery entertainment in Phoenix. 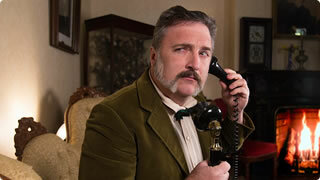 The Murder Mystery Company are the pros at making any corporate event totally killer. We bring a night of mystery, intrigue, and murder right to the venue of your choice, ready to immerse your audience in an interactive murder mystery thriller where they are the suspects and detectives. They get to team up and bribe suspects for clues, gather information, and solve a murder! Whether it is a corporate event of ten or ten thousand, we can accommodate you. Choose one of our private themes and get started planning your corporate event murder with your personal Crime Scene Consultant! Planning a team building event for your company? 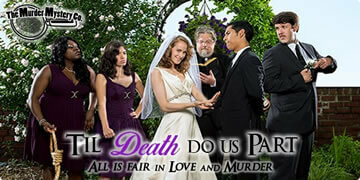 The Murder Mystery Company in Phoenix is the expert in making sure your event is murderously fun. What a better way to build team building skills than solving a murder? Your employees will team up to unravel a mystery by bribing suspects, working together to get all the clues, and solving the crime! Enjoy a stress free two hour show with our professionally trained performers doing all the work. 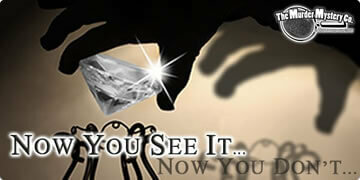 They have hundreds of hours of experience making your event perfect. Check out our many exciting themes, all of them customizable! Take the worry out of planning your next team building day. 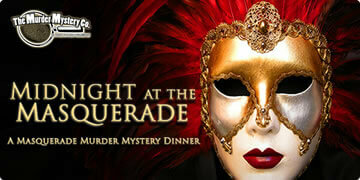 Bring in the dough for your next fundraiser or charity event with The Murder Mystery Company in Phoenix! We provide an event so popular that tickets will practically sell themselves! Your guests get a night of mystery, intrigue, and murder they will never forget, and you get a stress free night of entertainment for your charitable guests. Our professionally trained performers have hundreds of hours of experience creating killer events for fundraisers or charity events. 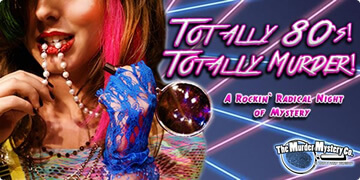 Check out our many customizable private themes, and we will come to the venue of your choice and give you a murderously fun show! 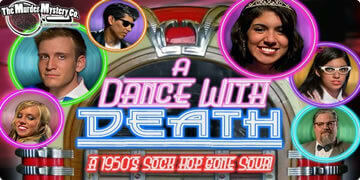 All you have to do is call to have the most murderously fun fundraiser or charity event in Phoenix. When it comes to birthdays, you want to plan a memorable, special day. Having a party be a flop is the ultimate disappointment, so don’t take any chances! 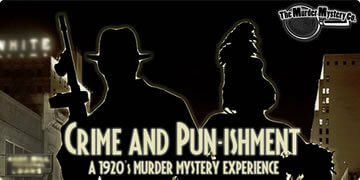 Let The Murder Mystery Company in Phoenix put on the perfect show for any upcoming birthday! We come right to your home or the venue of your choice and immerse your guests in two hours of mystery and intrigue with a murder and an investigation. We have many themes that are customizable to your party, and on call Crime Scene Consultants that work with you to make sure your party is a stress free event from beginning to end. Our shows are great for any age group from reading age all the way up to adults! We even have a murder free show with a scavenger hunt that will keep any young ones completely involved in the show from beginning to end. Team up with our mystery experts for a birthday you’ll never forget!